JACKSON NH – Celebrating our 33rd year of hosting one of New Hampshire’s premiere fall events… the Return of the Pumpkin People. 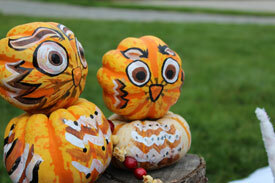 Take this self-guided tour of more than 80 different locations hosting Pumpkin People displays. This is an event will amaze even the toughest of critics. You will see Pumpkin People doing all kinds of things from flying across yards to deep sea diving. Our members’ talent out does itself year after year. Peruse the photos of last year’s event participants and see for yourself. Maps and People Choice Award Ballots will be available by September 1st, 2017. You can request them by calling the office at 603-383-9356, sending an email to [email protected] or picking one up at any of the participating businesses located throughout the Conway and Jackson Area of New Hampshire. 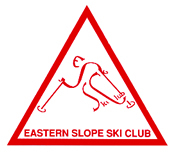 NORTH CONWAY NH – 44th Annual Eastern Slope Ski Club Ski Sale set for Nov. 7th & 8th. The Eastern Slope Ski Club (ESSC) will be hosting its 44th annual gear sale at the North Conway Community Center on Friday, November 7th (3pm-8pm) and Saturday, November 8th (9am-2pm). Plan on dropping off your clean and ‘modern’ Alpine, Cross Country and Snowboard gear you’d like to sell at the North Conway Community Center on the evenings of Wednesday, November 5th and Thursday, November 6th between 6pm-8pm. Each item requires a tag ($1 each), which will be available for purchase when you are dropping items off. Or, you can save time and buy them NOW at Bob and Terry’s Sports Outlet in North Conway. All unsold items (and proceeds from your sales) MUST be picked up at the Community Center on Sunday, November 11th between 10am-12pm. 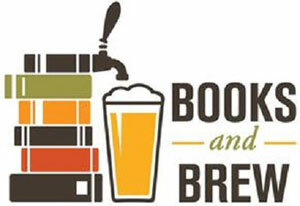 Anything NOT picked up will be considered a donation, and all proceeds from the sale will benefit the ESSC.